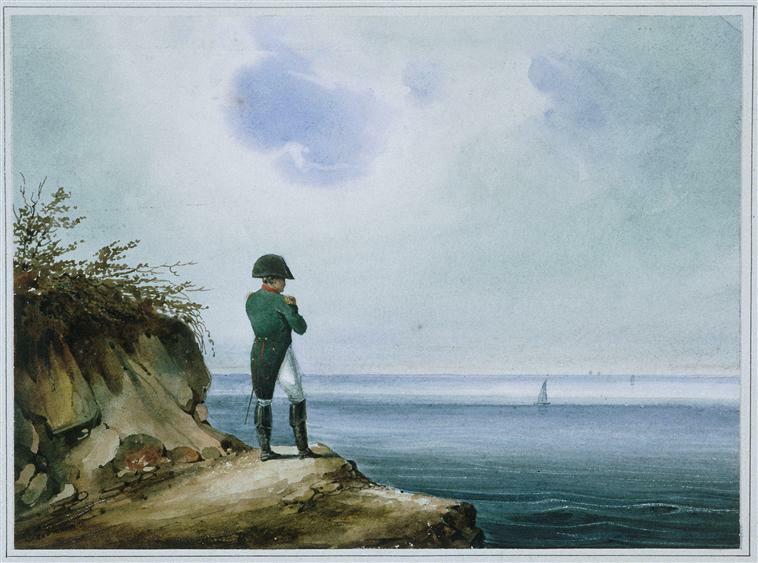 This time the allies had Napoleon exiled on an island in the Atlantic that was 1,162 miles off the African coast. He was placed in a cold, damp house and spent most of his days writing his memoirs. Many people would make plans to have him rescued from his prison because of whispers that the British were trying to kill him. One group from New Orleans paid a doctor to try to break him out of prison, with a story that he was simply there to make sure that Napoleon wasn’t being hurt there. The doctor would arrive after the death of Napoleon though, and would have a mask of his face done to prove to his employers that he did make it there. The mask can still be seen in a museum in New Orleans to this day. Napoleon would officially die of stomach cancer according to his autopsy, although one of his men claimed that he was being poisoned with arsenic. When later historians found out that the doctor didn’t actually sign the autopsy, the conspiracy theory about his poisoning became a much more popular theory. This would all lead to a toxicology report on his body in 2001 which confirmed that his death was murder by arsenic. Sceptics of this theory claim that the levels of arsenic may be an accident, since it was used in the making of so many things during that era. reasons. He is most often be seen as a powerful, intelligent leader who beat nearly every European power for about a decade. It is, however, also true that nearly 6 million people would die in the 17 years under his power, and his decisions would cause the collapse of France. Most people would see him as a military genius and one of the greatest military leaders ever. He had a remarkably likeable personality and a photographic memory that helped his leadership in battle in a variety of ways. He had a unique ability to see the best moves to make on a battlefield and move his troops in the perfect position like a chess master. His most famous enemy, the Duke of Wellington, would claim numerous times that he was the greatest military mind ever. He would make textbook military moves at a speed that outmaneuvered most people, and for this reason he is now studied at military academies worldwide. His greatest accomplishment may have been in the level of inspiration he had on his troops, making them feel confident no matter the odds. He did, however, have a number of people question aspects of his rule though. One of the most damning accusations was that he was willing to sacrifice anyone’s life for even the smallest advantage. His decision to allow plunder in any territory he tried to conquer made him very unpopular in many of the places he took. To this day, French museums often contain art stolen from all over Europe during his march across the continent. Popular culture claims that Napoleon was extremely short, but this is mostly propaganda the British used to try to discredit him. A later psychologist named Alfred Adler would use these stories to claim he was aggressive to make up for his height. He would refer to this aggressiveness as an inferiority complex known now as a “Napoleon complex.” While this belief is based on partially incorrect propaganda, it has become so popular in current thought that it is more well-known than the fact that it isn’t true. His leadership ended the lawlessness of Revolutionary France, but this was done through tyrant-like power that he got from extra-legal methods. He became a master of using propaganda to get what he wanted mostly through the censorship of the press to manipulate the people. There were tons of newspapers that would be shut down for speaking negatively about him during his time as leader (60 of 73 papers). As he spread throughout Europe he would export French values all over the place, but while he spoke of his country like a democracy, the reality was that his government was a dictatorship. Making bodies like the ‘Council of 500’ seem powerful but they were, in reality, simply an advisory board for his decision making.